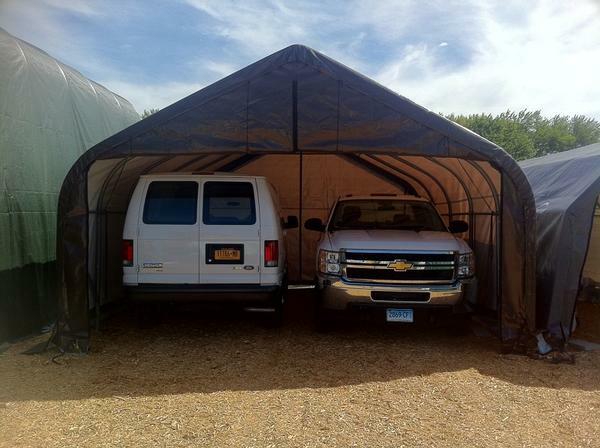 Rather than leave one or two vehicles out to rust, affordably set up sturdy and dependable protection with our 18-foot wide portable garages for sale. 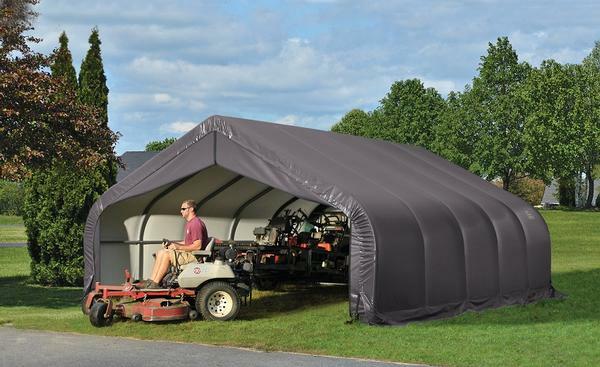 Available in a choice of house styles, these 18-foot wide structures present an effective system for keeping out the elements and, ultimately, keeping any investments dry and free of rust and damage. 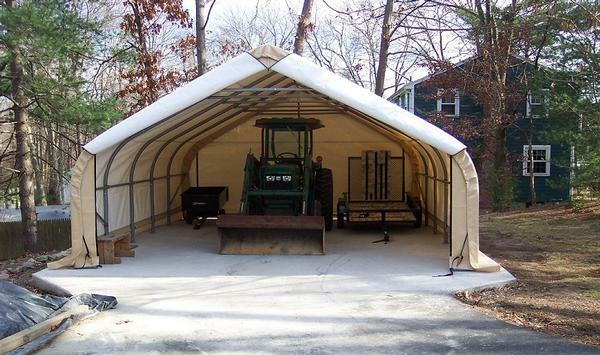 A heavy-duty structural steel frame, once anchored, lasts through practically all weather conditions. 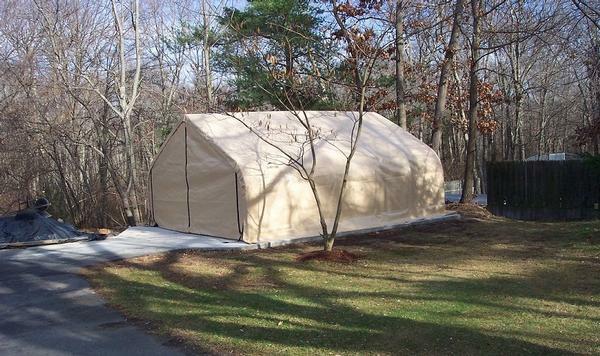 Treated to be UV resistant and waterproof, the polyethylene not only blocks out the elements but additionally prevents mildew and dry rot from forming. Get a great deal while seeking out comprehensive protection for your investments. For a shelter, select from a choice of heights and lengths.